It seemed the rain was not going to be kind to us as we had spent two days trying to capture this particular grove of aspens, that seemed to enjoy their own personal space unlike many other aspens we've photographed. But what was particularly wonderful was the back light. 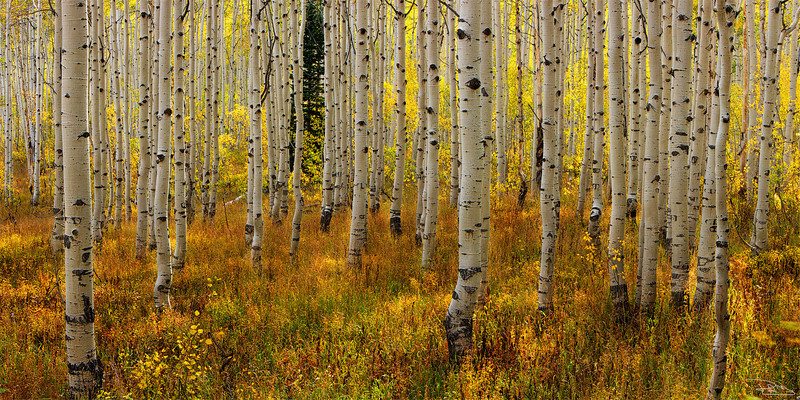 The field behind the aspens was golden. We felt Drawn In, captivated and entranced by their appearance.